John Hakim from Greenskeeper.org and I presented a webinar to the California Golf Course Owner’s Association (CGCOA) on April 10, 2014. The webinar focused on our book, The Social Golf Course and highlighted social media and how to use it effectively at the local golf course level. The webinar was the largest webinar the CGCOA has put on and we had a fantastic time sharing our knowledge of social media and golf with the CGCOA members. The Social Golf Course: Increasing Rounds with Social Media is an introduction to golf course marketing with social media. Social media is not just a marketing and sales tool. It creates word-of-mouth excitement, helps attracts more golfers and gets golfers to play golf more often. help build business. The CGCOA aims to enhance the lives of golf course owners by making their businesses more profitable, more efficient, and better managed. They provide exceptional products and services to every type of owner – from the family-owned 9-hole course to the multi-course corporation. A special thank you to Marc Connerly for giving us the opportunity to speak with the California Golf Course Owner’s Association. Looking forward to being involved with the CGCOA for many years to come. 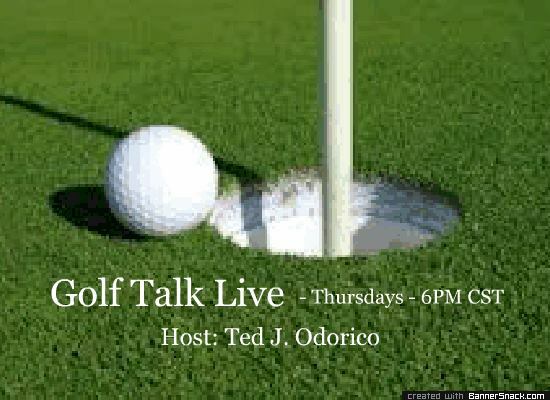 Had a blast being interviewed by Ted J. Odorico on Golf Talk Live about my book, The Social Golf Course on March 13, 2014. Golf Talk Live happens every Thursday starting at 6pm PST and Ted interviews “some of the best teachers, club makers, and golf industry types around the world. Clint Wright – PGA Teaching Professional at R3 Golf Academy. Stan Moore – PGA Teaching Professional at BocaRatonGolfLesson.com. 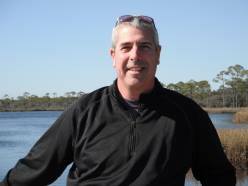 Brian Dobbie – PGA Golf Professional at Montclair Golf Club, New Jersey. He then transitions to a call in session from 6PM – 7PM CST where golfers can get some great tips from the “Coaches Corner” panel. Later in the show, Ted interviewed PGA/LPGA Class A Professional – Michele Trimarche . . . And last, but certainly not least, me, Zeb Welborn to discuss the launch of “The Social Golf Course”. During the interview we discussed The Social Golf Course, a book co-authored by Zeb Welborn of 19th Hole Media and John Hakim of Greenskeeper.org. During the interview I was able to share my thoughts on social media, golf and the golf course industry. Ted had some questions about his social media presence too and I was able to help him out with that a little bit as well. All in all, I had a blast being on Ted’s Golf Talk Live and would encourage you to take a listen! Immediately after releasing my book, The Social Golf Course, I connected with Golf Life a website devoted to anything and everything golf. Golf Life is a national television program that started in the late 90s, Golf Life is seen by 600,000 viewers each month who are watching in some of the 90 million homes we reach across the US. The article is pretty straight forward with questions about me and The Social Golf Course and my responses to those questions. Thanks to the people at Golf Life for the post on their website. Please check out the article from Golf Life on Zeb Welborn, 19th Hole Media and The Social Golf Course. The California Golf Course Owner’s Association (CGCOA) invited John Hakim, owner of Greenskeeper.org and myself, Zeb Welborn to speak to their members about the importance of social media on October 23, 2013. During the presentation we discussed the importance of social media and the impact it’s having on our economy and our golf courses. We also gave a lot of practical examples on how to use social media effectively at the local golf course level. We had a lot of great feedback from our webinar and were asked to come back to present again at another date in the future. The California Golf Course Owner’s Association (CGCOA) is dedicated to the stimulation of market growth for California’s golf course industry. They promote collaborative advertising and promotional advertising programs encouraging more rounds of golf throughout California. John Hakim and I love sharing our knowledge and expertise with the golf course industry. If you’re in the golf course industry and you have questions regarding social media, contact me.